Learn the process of creation of a body of work while focusing on the soul of the photographic project. Gain insight on how to choose the theme until the realization of the project and create at the end a contemporary photographic series. Most of all, the workshop with Lise Sarfati will help you discover your own visual language as well as conceptual know-how. “Lise Sarfati has lived and worked in the United States since 2003. She has realized six important series of photographs there. They have been followed by exhibitions and publications. Each of her works makes clear the identity of an approach focused on the intensity of the rapport established with the person photographed, and of that person with the context. A vision in which the individual is environment, a map outlining a perilous cultural geography. The richness of perception is constructed without effects. The compositions are flawless in the simplicity and unity of the image – the style tends to be elementary and clean, avoiding all qualifications, but the traits of each thing and each person trace a hundred thousand folds. The dimension of the interplay of postures is that of a solemn immaturity: the scenery formed by the people and places is the silent crumpling of a dream in which each risks his or her skin. A feminine seduction tinged with fateful coincidences; the beauty of the adolescents looks like a magic spell. Their solitude and strangeness in the world turn the image into an echo chamber inhabited by the photographer, her subject and the viewer. She (2005-09) Published by Twin Palms in 2012. Essay by Quentin Bajac. Austin, Texas (2008) Commission work published by Magnum Photos. The New Life (2003). Published by Twin Palms in 2005. 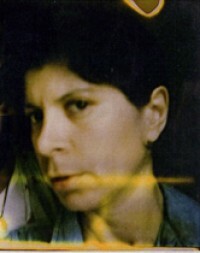 Lise Sarfati, Fundación Salamanca Cuidad de Cultura, 2004. Acta Est, Lise Sarfati, Phaidon, 2000. Lise Sarfati is represented by Rose Gallery, Los Angeles, and Yossi Milo, New York. If you want to be kept informed about Lise Sarfati, you can go on Facebook, LIKE Eyes in Progress , or her own page and add us on your list of interests. This will be a workshop with daily group discussion and editing sessions with prints only. Lise Sarfati will spend time talking about her own work and the different projects and books she has worked on. She will share her photographic references with the group and discuss the challenges of being a fine art photographer. Each participant will receive and in-depth critique of their work which will also be used as a jumping board for editing assignments. Participants will be asked to come to the workshop with a printed portfolio. Lise Sarfati will identify the needs for each of the participant and work with them on reaching coherency in their visual language. She will help them create a contemporary series of their work by working with them on editing and sequencing their portfolios. She will also share her references in photography according to each participant's profile. If the participants need to print one or several photographs during the workshop, he'll be able to do so at the studio.